Meet the Inventor, the Minotaur, Walk the Labyrinth and take Flight (without drowning or burning up in the sun)! 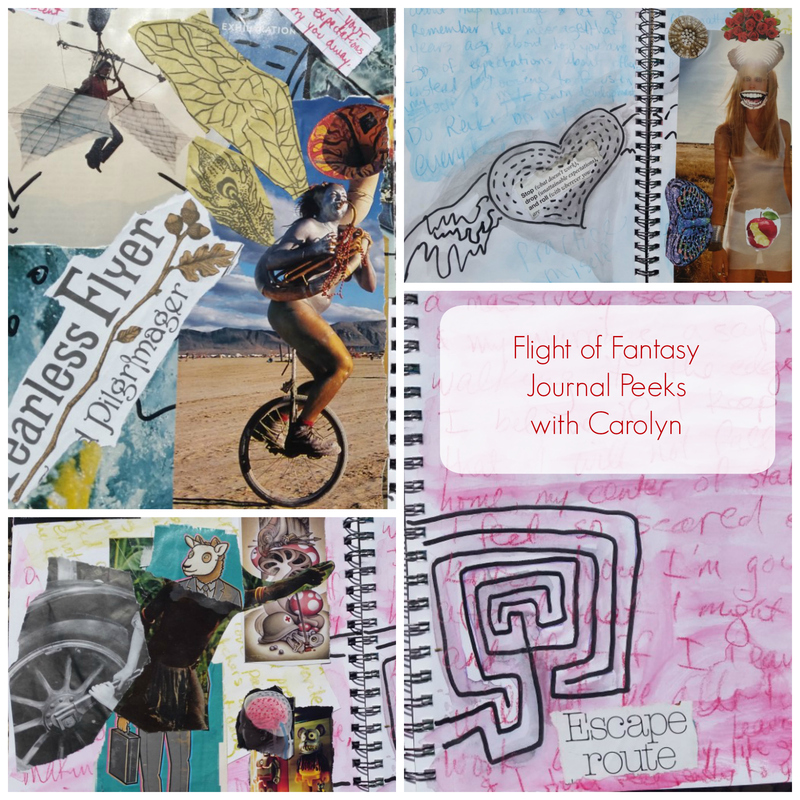 This 8 prompt series focuses on collage and free-writing. based on the Icarus Myth. Art journaling, with it’s private surprises and messy depths is one of my favorite creativity tools. All my inspired inquiries are designed to be done gently, with copious self reflection, and genuine curiosity. I intentionally make each of my videos short and inspirational (as short as a song) so that your time can be spent getting to your journal. And my commitment is not that you replicate what I did but that you show up and connect with your own quirky genius. I invite you to follow your OWN rhythm. Move through this sequence at your own pace and trust that your inquiry is unfurling in the perfect time and in the perfect way! Suggested supply list is same as all my courses: here but you can skip the paint! I just returned from a few days on retreat where I once again brought my art supplies and one of your archived classes. (This time Flight of Fantasy), and got to process some things for myself. I wanted to share with you what I came up with. The first photo is about my fears/Manotaur, the second photo is what gives me wings, and the 3rd photo is the warnings. This was a blast and I gleaned some very helpful insights. Thank you!